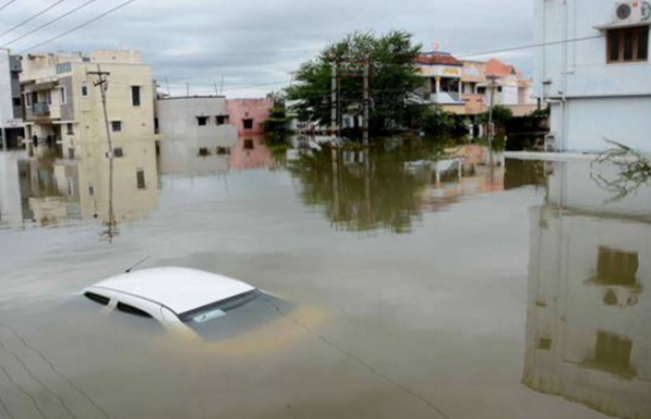 The incessant rains in Tamil Nadu have wreaked havoc in Chennai and have claimed more than 180 lives, across the state. According to the state MeT department prediction, the next 24 hours are extremely critical and it could rain again in the next 72 hours. As the situation remains unchanged, several people and organisations have come forward and raised their voices against the inefficiency of the government and their lack of planning to tackle such disasters. One such demand has come from an organisation called Federation of OMR Residents Association (FOMRA) which is run by the people living in Old Mamallapuram Road area of the city. The group is demanding immediate appointment of an Urban Planner Officer in the Chennai Corporation and have started a petition for the same on Change.org. Over the last few days we have seen every Govt body 'passing the buck' among themselves for the disaster and deluge that Chennai has faced. The common man has faced the brunt of this game. Corporation of Chennai very candidly admits in the video below. The town planner's main responsibility will be to ease or avoid social, economic and environmental problems within Chennai. He/She can achieve this by making recommendations to local elected officials and bureaucrats that reflect the needs of Chennai. Such recommendations will be binding on the Chennai City Corporation and other State Govt. agencies that operate within the city limits. The Urban Planner must work to alleviate current problems and make proposals for new legislation. When approaching an existing problem he/she must identify the root of the problem as well as related issues, and when proposing a new regulation it is crucial to make recommendations only after extensive research and data collection. Such suggestions should lessen the chance that problems will arise in the future. In keeping these goals in mind, Chennai's Urban Planner should work to ensure that the environment, economy and society are flourishing as the city grows. On behalf of all the residents of Chennai, FOMRRA - The Federation of OMR Residents Associations, invites everyone who loves Chennai to sign this petition so that the powers that be can appoint an Urban Planning Officer immediately. READ NEXT >> Russia has proof to show Turkey is buying oil from IS; Will Erdogan now resign?